David Wells is one of the founding Partners of Wells Burcombe and is a qualified Solicitor and Barrister. David is an accomplished lawyer in all aspects of crime, with a particular emphasis on complex cases such as Murder, Manslaughter, Fraud, large-scale Drug Offences, Firearms Offences, Sexual Offences, Kidnap and serious assault. He has dealt with some of Country’s most high profile criminal cases, including the first cyber terrorism prosecution. David is also an experienced advocate and has defended clients in cases involving all the major prosecution authorities including Trading Standards, DWP, the Health & Safety Executive and the Environment Agency. 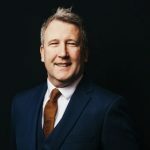 In recent years, David has established himself as one of the UK’s most recognised criminal appeal lawyers specialising in criminal appeals and miscarriages of justice. He regularly writes for Inside Time, the country’s leading prison publication, on various legal topics. He co-runs www.criminalappeallawyers.co.uk with other leading criminal appeal practitioners, including leading sentencing barrister Robert Banks. David's practice is also heavily focused on representing professionals under investigation for alleged criminal misconduct, with a particular emphasis on the medical profession.